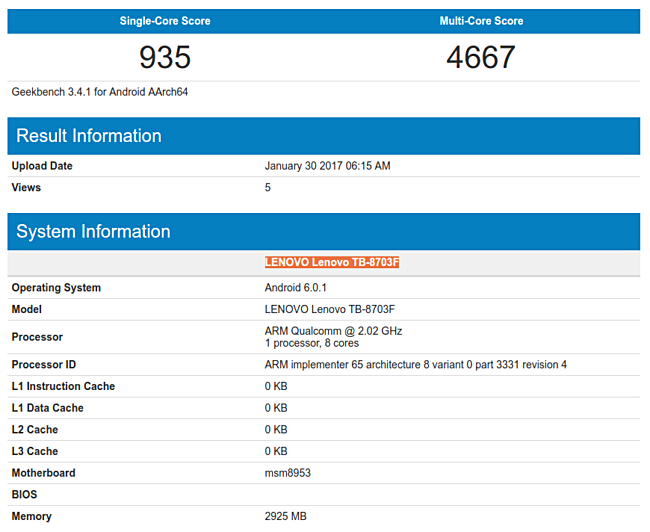 A few months after it was first leaked, the Lenovo Tab3 8 Plus, carrying a model number of TB-8703F, has now appeared on the Geekbench benchmarking website. The listing reveals that the tablet is powered by Snapdragon 625 SoC with 3GB RAM, and runs Android 6.0.1 Marshmallow. These specs are inline with what all the last year's leak had revealed - the leak had also confirmed FullHD display, 8MP/5MP camera combo, and 32GB/64GB memory configuration. 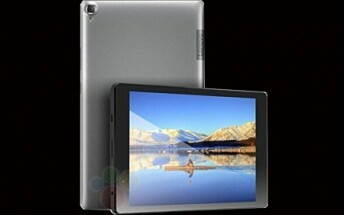 There's currently no information on the tablet's pricing and availability.